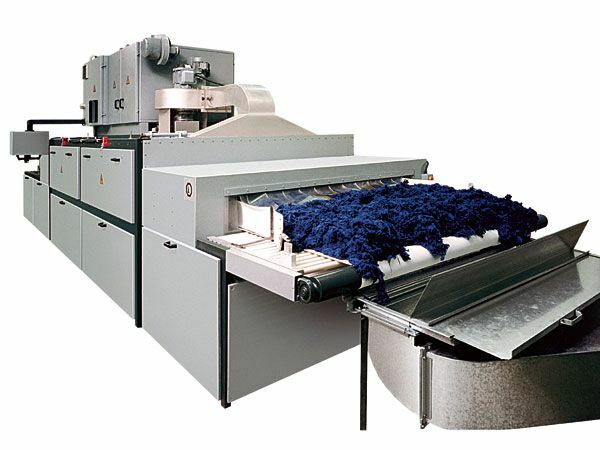 The "LTRF" (Low Temperature Radio Frequency) series dryers are especially designed for the low temperature drying of all “loose” textile products. These dryers derive directly from the "RF" series equipment. The innovation consists in the additional air suction and blowing compartments, placed just beneath the conveyor belt, which are fitted with medium-head centrifugal fans. These compartments force a controlled amount of air - generally recovered from the triode cooling system - through the product being submitted to the RF field, so that the drying process takes place at temperatures which normally do not exceed 60-70°C. The air passing through the product improves the energy efficiency as well, so that drying costs are reduced by 15-30% when compared to the standard "RF" technology. An original version of these dryers is the "RFA/S" series. 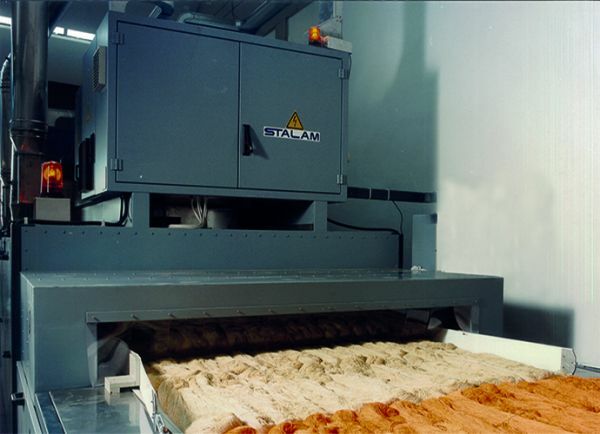 Here, the principles of both the "RFA" and "LTRF" technologies are combined; the forced air flowing through the product and the accurate temperature control inside the drying tunnel allow us to set all parameters of the evaporation process. 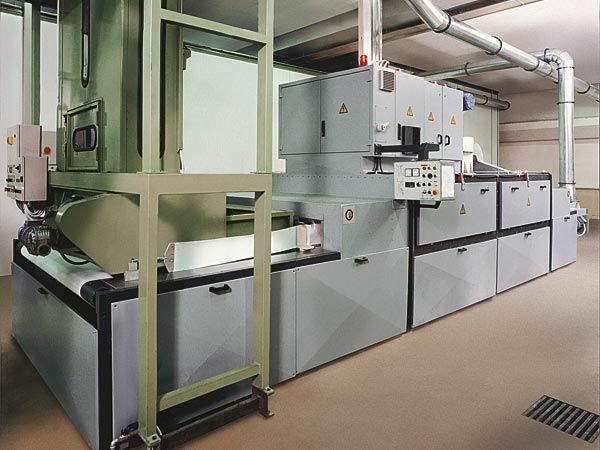 Both the product quality and the energy efficiency are improved, and savings in drying costs up to 35% in comparison with the standard "RF" technology are obtained. 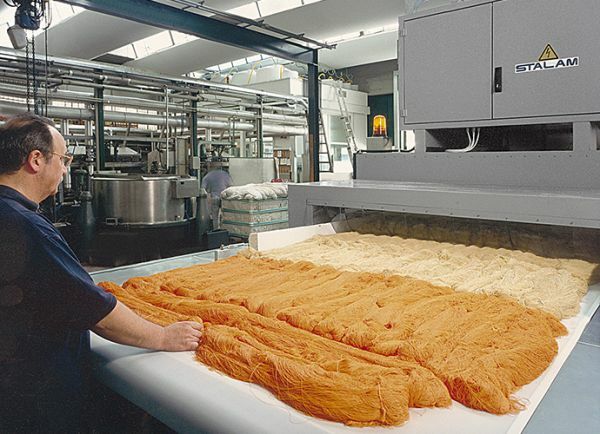 Several "LTRF" and "RFA/S" series dryers installed worldwide since the mid-nineties have proven their effectiveness with a wide range of products like: cotton, wool and cashmere loose stock, fine wool tops slivers, acrylic tow, silk hanks, cashmere, lambswool and other fine wool yarns in hank form, wool and nylon "jumbo" hanks for carpets, cotton, mercerised cotton and rayon yarns for knitting, sewing and embroidery, etc.